As with its superstores that are dotted around the UK, Decathlon's website only sells winter-spots gear and equipment during the winter months. You might get some luck out of season during the sales, but in the summer months both the website and the stores focus on camping rather than skiing or snowboarding. 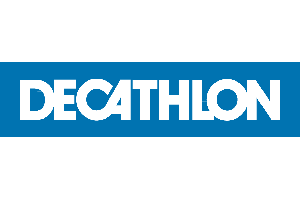 As well as the global brands listed below, Decathlon has its own brand for winter sports, Wed'ze, which you'll find in prominence in the winter clothing area on the website and in-store, as well providing cheaper alternatives to the big global brands for skis, ski-boots and snowboards. A list of the skiing, snowboarding and outdoor clothing brands stocked by Decathlon, as well as any ski equipment and accessories.